A couple years ago I went through a technical due diligence (TDD) of several relatively small offshore vendors. The vendors were providing product development services for one of my clients, the vendors also supported operations of the SaaS for all of the products. The client had fully outsourced s/w product development and support to those vendors and retained practically no technology resources internally with exception of MIS / SaaS IT support. The vendors were in large degree focused on the product development for my client and the rest of their business was relatively small. The vendors have been performing services for a number of years with very light oversight from the client’s side. The quality of work to date has been on a low side yet deemed sufficient for the money. I just added a new post to my new blog Common Sense Management – Laws of Nature and the Need for Management. 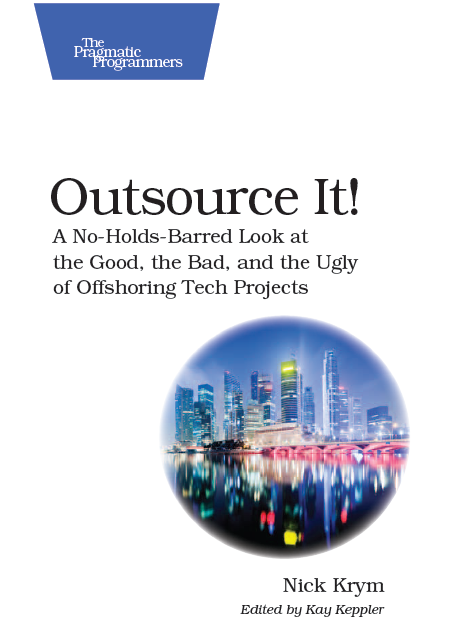 It touches upon one of my favorite metaphors – application of the Second Law of Thermodynamics to management and offshore outsourcing (see also Fundamental Laws of Outsourcing). The message common to these posts is quite simple – you must stay on a top of your projects, resources and engagements otherwise they would quickly deteriorate. Having said that I have to admit I should pay more attention to what I preach and follow my own recommendations. Just a few days ago I was going through a small project that seemed to be falling behind. The issues became clear in a few minutes after I walked in the meeting discussing the project status. The objectives for the project I stated about two months ago were lost and the void was filled in by something substantially more complex (And that illustrates another law – “nature abhors a vacuum”). My offshore team was happy to work on more challenging projects, estimates appeared too high, that required in-depth analysis, more people were getting involved, more issues discovered, that generated substantial amount of R&D that increased the complexity by an order of magnitude… Involved in the meeting there were six people from onsite and almost as many from offshore. For me, at this point an unattached side observer, it was obvious that the efforts being extended to address the project exceeded the value of it by a great margin. It was not at all clear to people so passionately involved in resolving the problem. About an hour later it was all over. The vicious circle was broken as the proverbial Gordian Knot. The projects objectives were not only restated but addressed. It required 15 minutes from an engineer who had not been even aware of the discussion. Yet the sunk cost of the project was unrecoverable, exceptionally high and not justifiable by any means. Is there anyone to blame for it except the manager (me) who abdicated the project to those who did not have enough technical depth to cut through the distractions of secondary objectives? In my earlier post Notes from a Data Entry Gig I covered a few areas related to a small data entry project. There were several areas that were left untouched, one of them – execution control, is worth covering by itself. There are many things you can do to get execution under control on medium to large scope engagements. Project/program management, account reviews, etc. That’s not the methodology to be used on a small gig such as limited scope web research, data entry, SEO, etc.